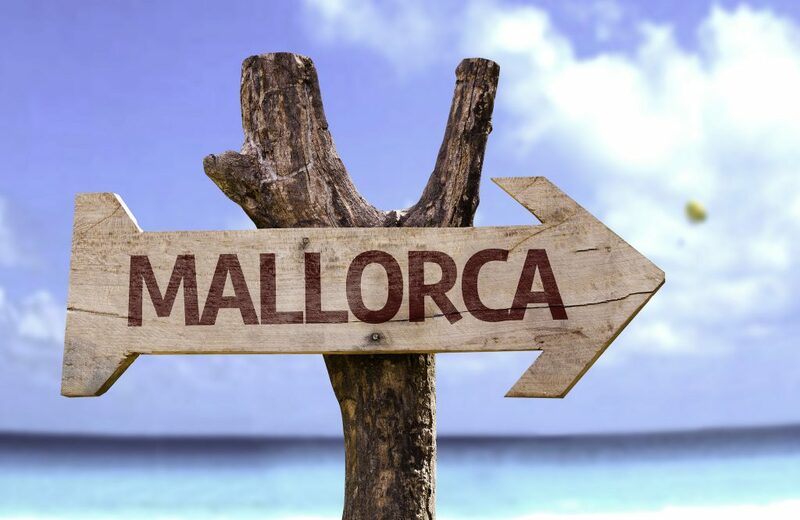 Rent a private jet or turbo-prop and fly to Mallorca (Majorca), a popular holiday destination in the Mediterranean Sea. Hiring a private jet and flying to Palma de Mallorca Airport (LEPA, PMI) is the most stylish, secure and comfortable way to reach the Balearic Islands, and our team offers the highest standards in executive and leisure air travel. Air Charter Advisors offers private jet charters to/from Mallorca services with access to thousands of private aircraft around the world — choose between efficient, enjoyable or extravagant. When working with our Mallorca Air Charter Advisors, you will receive an all-inclusive, customized aviation experience that far-surpasses industry standards. Our private jet charter brokers will be available 24/7, as will their experience and knowledge. Our company’s #1 priority is the safety of our clients, and we’re a Wyvern certified broker, one of the highest safety accreditations in private aviation — we only work with FAR Part-135 (or foreign equivalent) aircraft operators for every flight, using only veteran pilots with a wealth of experience in a specific aircraft type. Enjoy the peace of mind, comfort, and confidence you gain from working with a broker you can trust, and Air Charter Advisors will become your comprehensive aviation solution for luxury air travel, aircraft acquisitions and private jet management in Spain and the Balearic Islands. Request a quote now, or give us a call at 1-888-987-5387 to book your charter flight to Palma de Mallorca, Spain. 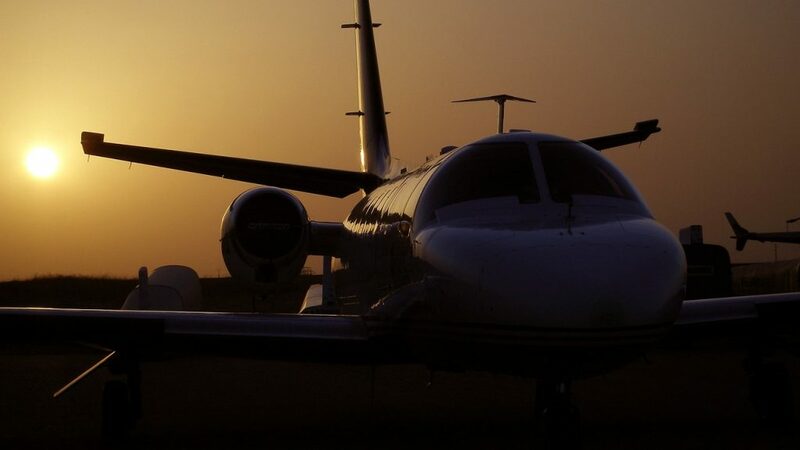 Our team is ready to help with all of your private aviation needs, from in-flight amenities and luxury concierge services to aircraft acquisitions and private plane management – consider ACA your one-stop shop for all things private flights to/from the Balearic Islands. Mallorca (Majorca) is the largest of the Balearic Islands, an archipelago in the Mediterranean off eastern Spain and popular holiday destination for jetsetters around the world. Palma de Mallorca Airport (PMI) is the most popular airport for jet charter arrivals & departures. Clients flying private may also choose to land at Son Bonet Aerodrome for short distance flights on pistons and turbo-prop aircraft, or after arriving at Manises Int’l in Valencia, the closet major city to the Balearic’s on mainland Spain. Click here for more information on private jet airports in Mallorca. Fly private jet charter to the island of Mallorca (Majorca) and enjoy a luxurious Mediterranean getaway on the Balearic Islands. Known as a premier destination for sunny beaches, beautiful landscapes and Mediterranean cuisine, more than 8 million tourists visit the island every year, scattering across more than 340 miles (550km) of coastline. Majorca can be geographically divided into three parts: mountainous regions to the southwest (Serra de Tramuntana) and to the northeast (Serres de Llevant), with a central plain (Es pla) between them. Serra de Tramuntana is a registered UNESCO heritage site in 2011, home to the higest peak on the island, Puig Major at 4,741 feet (1,445 m). Natives islanders speak what is called Mallorquí, a regional dialect of Catalan. Both Catalan and Spanish are considered official languages, and although Catalan is known as the “local” language, Spanish is more commonly spoken throughout; English, German, French and other European languages are common in major tourist areas. Charter a luxury jet to the island of Mallorca, the largest of the Balearic islands located off of the eastern coast of Spain. The island is a natural paradise, home to tall mountain ranges, underground caves, hidden coves and beautiful beaches with crystal blue water. The capital city Palma is where private jet travelers will find most of the action and resorts, but don’t be afraid to venture off the beaten path to discover all the island has to offer. There are several wine vineyards located around the island, including Bodega Ribas, Can Vidalet and La Bodega Santa Catarina. If you’d like, we can arrange a sample of Mallorcan wines for you to enjoy during your charter flight to the island. While Mallorca doesn’t draw the crowds it’s little sister Ibiza brings in, it’s still a hot-spot for music, hosting annual festivals in locations scattered across the island, from luxury resorts to historic monasteries. Sóller is a town located on the northwestern coast of the island, set in a lush valley surrounded by Mallorca’s tallest mountains. Much of Sóller is residential and agricultural, and its full of orange, lemon and olive groves. Turn your visit into a golf holiday, as the island home to several amazing courses, most notably the Thomas Himmel designed Golf Son Gual. You can also take a drive down the twisting, winding road along the side of the Serra de Tramuntana; go rock-climbing high above the sea on the famous arch at Es Pontas; or charter a luxury yacht out of local marinas and set sail along the beautiful Spanish archipelago for a trip you’ll never forget. This mountain range runs southwest to northeast and forms the northern backbone of Mallorca. It is also a UNESCO heritage site, and the name given to the region of the same area. Don’t miss out on the chance to drive along ‘the Snake’, a winding road that runs down the mountainside, connecting Valldemossa to the red brick village of Deia. This beautiful village lies deep in the heart of the Sierra Tramuntana mountain range, approximately 25 miles north west of the capital Palma. It’s tucked away against another UNESCO heritage site, the Tramuntana mountains, although a secluded beach with a bamboo-shaded bar lies just 15 minutes away. Montemar is an award-winning restaurant in the village square, where the chef prepares means using only food he has personally grown. Do your toes prefer sifting through sand, gravel, rock or pebbles? You can walk across them all in Mallorca, home to incredible beaches that feature a variety of mediums. 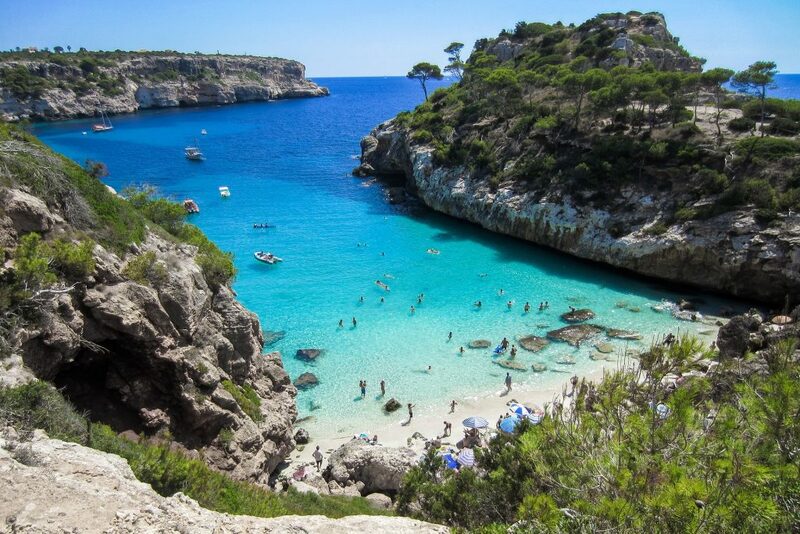 Stroll through the fine, golden-brown sand at Cala Agulla, with crystal-clear, shallow water great for a swim; visit Mallorca’s most famous beach, Es Trenc, with nearly 2 km of pure white sand and transparent water. Cala Formentor is surrounded by lush pine forests and mountains, and its shaded white sand is the perfect hideaway; go sailing, jet skiing, paragliding, scuba diving or water skiing at Playa de Muro, a beach bay with favorable winds and sift, white sand dunes. A quiet, under developed beach with finest sand & turquoise water; a good alternative to overcrowded beaches. Located deep within a cove surrounded by high mountains and spectacular views. A very long, little known virgin beach without facilities on the north east coast. Beautiful beach on the north west coast with fine grained white sand and very clear water. Small secluded beach with fine white sand. Mallorca is the largest of the Balearic Islands, home to some of the most beautiful natural landscapes in Europe, and popular destination for private charter flights. Mallorca has a lot to offer luxury jet travelers, from its gorgeous coves and beaches that bathe in 300 days of sunshine a year, to an unbelievable array of world-class resorts for luxury getaways, business trips and special events. Our top choice for clients staying on Mallorca is the Posada Terra Santa, a five-star Boutique Hotel within an immaculately restored 16th century manor house. This chic urban hotel features a full-service spa, indoor and outdoor pools, and is centrally located in the capital city of Palma. Mallorca and the Balearic Islands are already a premier holiday charter flight destination, and their proximity to major yachting & sailing cities such as Nice, Monaco, and Athens open up plenty of doors for private jet visitors looking to set sail across the Mediterranean on a luxurious yacht, catamaran or other craft. Chartering a luxury private yacht puts you in the Captain’s seat for your voyage throughout the Balearic’s, and our team can take care of all the maritime arrangements for you and your crew. Chartering your own yacht allows you to visit locations such as Ibiza (Eivissa), Menorca (Minorca), Formentera and locations along the coast of Spain, all on your schedule. 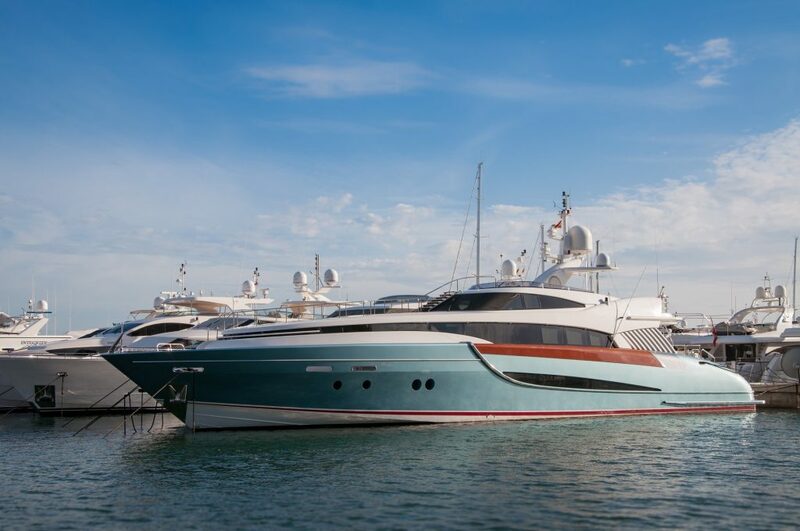 Our Mallorca Air Charter team has experience working with yacht and catamaran providers from around the globe, and we’ve connected our passengers to luxury yachts and catamarans on holiday everywhere from Miami to Montauk to Mallorca. Speak with one of our brokers and discuss the goals of your trip; we can accommodate budgets up to seven figures per week and beyond, and can arrange multiple aspects of your charter. Set sail on your own Mediterranean voyage by adding a yacht charter to your holiday in Mallorca! ACA has access to the following Wyvern-certified aircraft for your private flight to Mallorca. All of the aircraft we utilize for charter flights are operated by FAR Part 135 or 121 (or foreign equivalent) air carriers, using only veteran pilots in the aircraft make/model you’re renting. Air Charter Advisors can provide aircraft options based on the goals and budget of any trip, allowing clients to charter a cost-effective aircraft for flights around the Mediterranean, or the most luxurious, stylish corporate jet on the market for a lavish European holiday. Check out our Aircraft Gallery for more details on all of the aircraft available for your Palma de Mallorca charter flights, and if your preferred aircraft isn’t listed below, speak to one of our brokers and they will locate one for you. Request a Quote or give us a call at 1-888-987-5387 to speak with one of our brokers for your next luxury vacation, business trip, or special event in the Balearic Islands.